We have had some terrible luck with predators this past couple of months. We have lost about 7 hens and 4 ducks. We have 3 predators that frequent our little farm. And all 3 are not welcome here. A chicken hawk was arriving each day to see who he could pick off. I was on high alert and so were my trusty roosters. I have a rooster in charge of his ladies safety in every coop. Having a rooster is so important. His job is to keep his hens safe and he is always on alert. When he senses danger he makes an alarm sound to get everyone’s attention. When danger is near he goes into full alarm. This sounds is unmistakable. You learn quickly that this sound means get out here NOW! There are times I can be seen running outside in my robe, bare feet, hair a crazy mess and scooping up a handful of rocks on the run. My rooster calls all his ladies to him during emergencies and takes them to their hiding place. It is really interesting to see. His one sounds makes all hens stop scratching for bugs and run straight to him. My roosters have saved many lives from this pesky air attacker. Coyotes are the sneakiest predator that we have encountered. 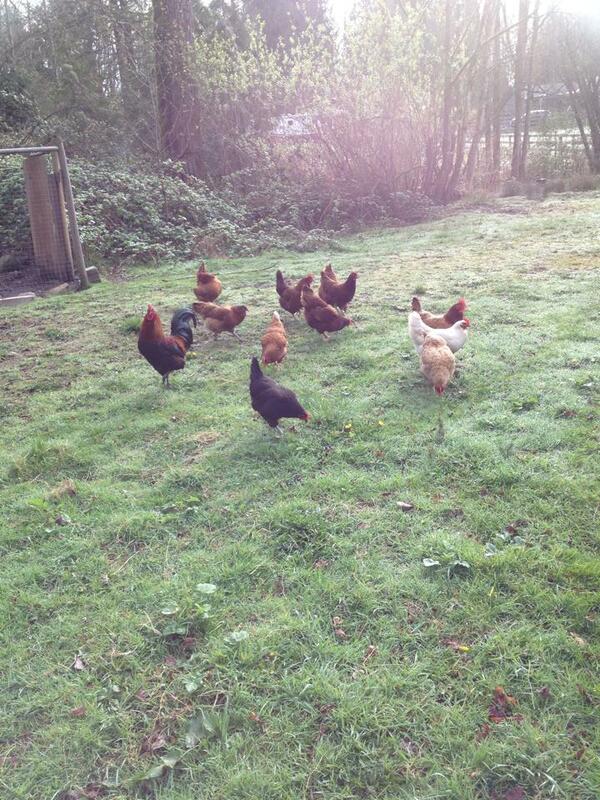 As soon as they get one chicken they will frequent your property until every last chicken is eaten up. It is important to act quickly. The coyote patrols the area daily usually at the same time and if there is an opportunity he seizes it. Our annoying coyote comes each day at noon. We seem to be his lunch time restaurant. The chickens wise up fast after a couple are picked off. My rooster now takes his ladies to the far corner away from the coyotes entrance. In the area most affected by the coyote the chickens go to bed a little earlier than the rest of the coops. As their keeper we need to help them with their coyote problem. *Frequent the area that the time of his arrival and scare him half to death by screaming, waving your arms and clapping your hands. Be careful though! Our last predator who left by far the most gruesome scene is the 3 bears. Momma and her 2 cub have been causing a number of problems in our area. Last year they ate a few chickens and we had a rather scary encounter with them. We electrified right away and didn’t have any more issues. We recently got 4 ducks and we were loving them! If you don’t have ducks get them, I promise you will love them. There is nothing better than that waddle they got going on. We incubated 18 eggs to try and get more but only one hatched. My oldest called him Meetri. Meetri imprinted on me and my oldest and would follow us all around the yard. Here is a cute little video. I was doing my morning chores and stumbled upon a sad bloody scene. 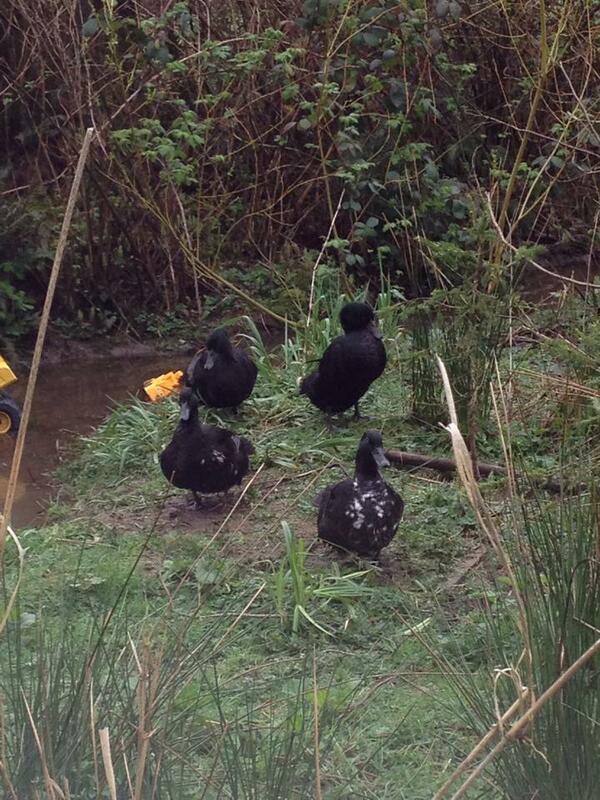 The bear had ripped the wall right off and ate my poor ducks while they slept. It is the worst feeling to lose your animals. I stood in the yard hands on my head trying to find the words to tell my family our ducks and our little Meetri were gone. I called over to my dog to come and mark the area (my dogs sleep inside…I know I know….I see the light of having an outside livestock guardian). I guess my little Meetri heard my voice because he came running from the woods. I scooped up my poor frightened little Meetri. He now sleeps in a large dog crate in a chain link dog kennel.